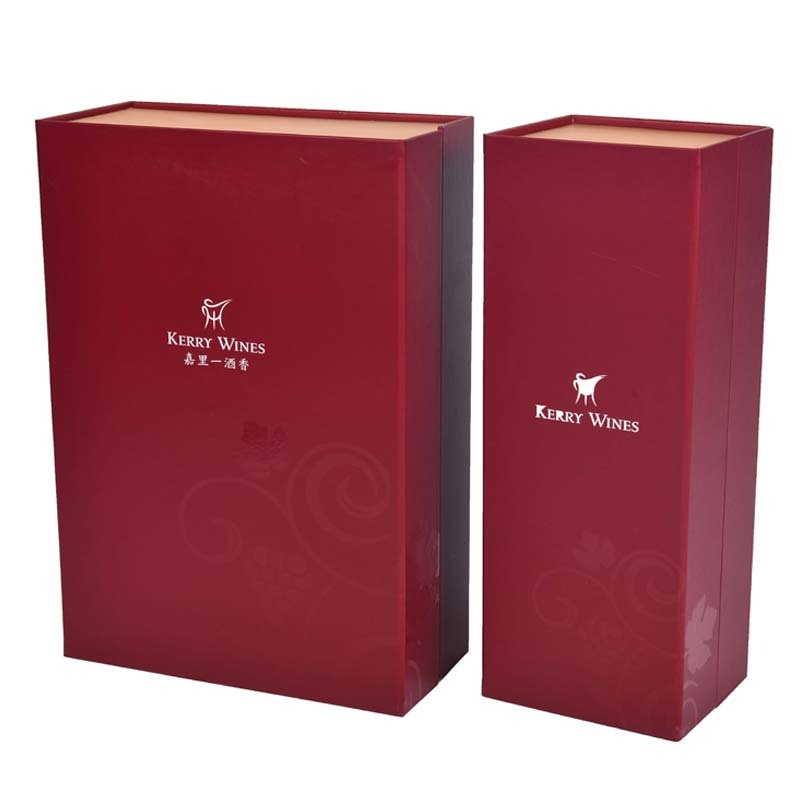 Product categories of Wine Gift Box, we are specialized manufacturers from China, Wine Gift Box, Wine Package Gift Box suppliers/factory, wholesale high-quality products of Red Wine Packaging Gift Box R & D and manufacturing, we have the perfect after-sales service and technical support. Look forward to your cooperation! Graphics is an important part of packaging design, the main carrier of information on wine packaging boxes, and an important way to attract consumers' attention. The whole box of wine gift boxes is 2000g gray board and 175 copperplate paper, dumb rubber + burgundy printing + UV, and pearl cotton + flannel. Not only can you show your product, but the product has been protected very well. Even letting wine gift boxes look more high-end and have intuitive influence on consumers is an important factor that arouses consumers' interest in the products. These can be designed with your brand color, brand logo, etc. to make your product stand out from the crowd.